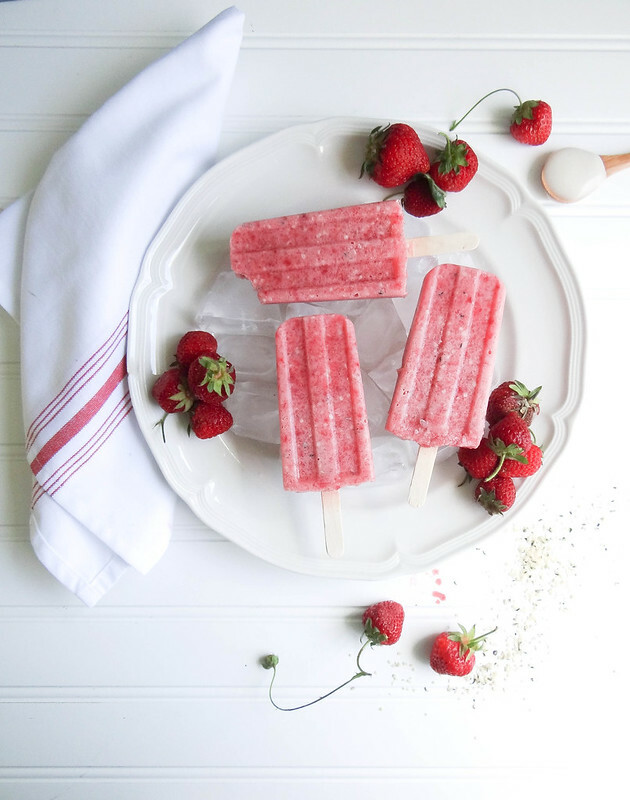 Homemade pops allow you to control the sugar content which is awesome if you have littles around. 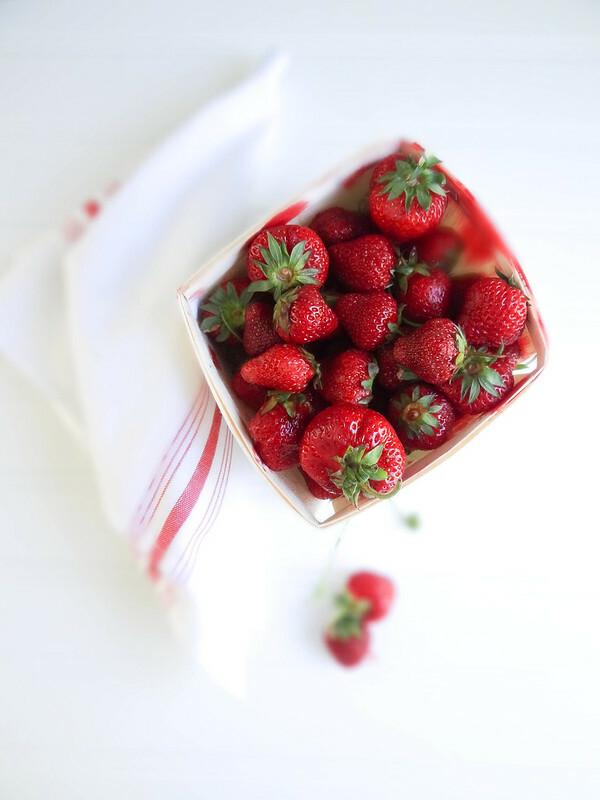 Most of the time you will find the fruits in season sweet enough and uber refreshing. This Popsicle is based on a cupcake recipe I made a while back - Pineapple Express Cupcakes, loosely based around the movie. 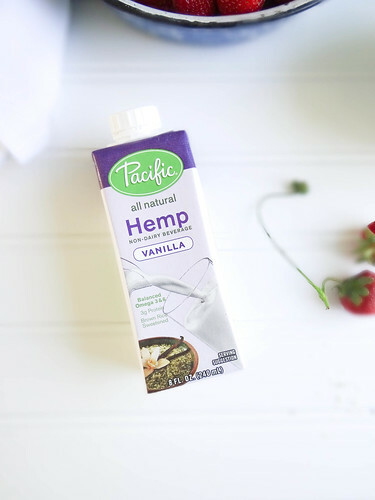 Hemp seeds add a bit of texture to the pops- plus we all know how incredible hemp seeds & hemp milk are for you! 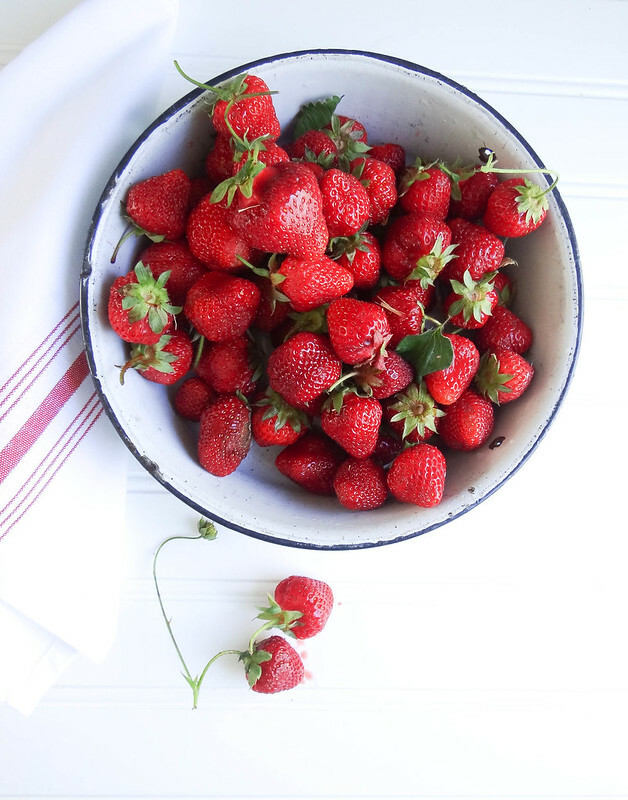 It is FINALLY strawberry season in NH - nothing beats a pint of strawberries picked the very morning you buy them, the color is so vibrant and the taste out of this world. 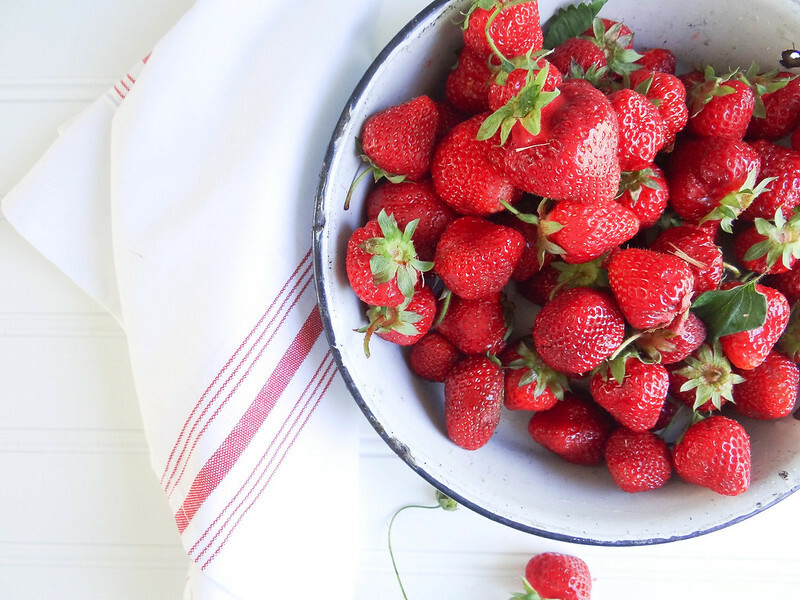 Sorry supermarket strawberries, our time together is done. 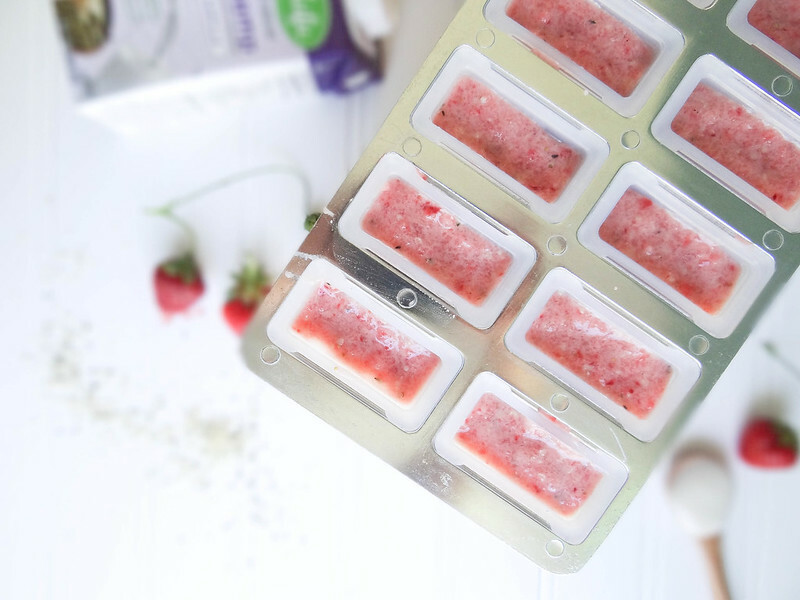 The recipe makes a total of 12 Popsicles- you will have some mix left over, simply pour in a cup and you have yourself a smoothie snack. I love this Popsicle mold; just remember to stick the sticks all the way down into the mold and you may have to run the mold very quickly under room temp water which will make the release of the pops much easier. 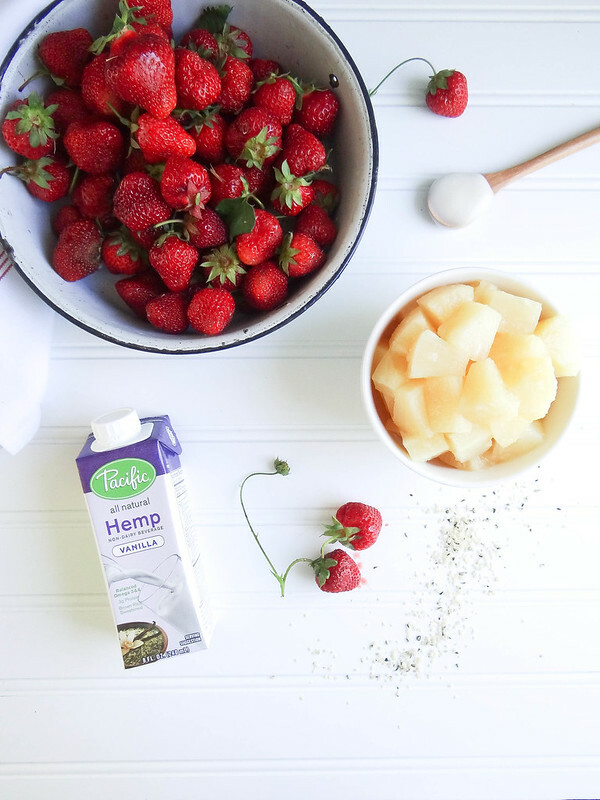 Pineapples and strawberries are blended together with a mix of vanilla coconut yogurt and vanilla hemp milk from Pacific Foods- let me tell you this makes for one delicious Popsicle! What is your favorite Popsicle creation? 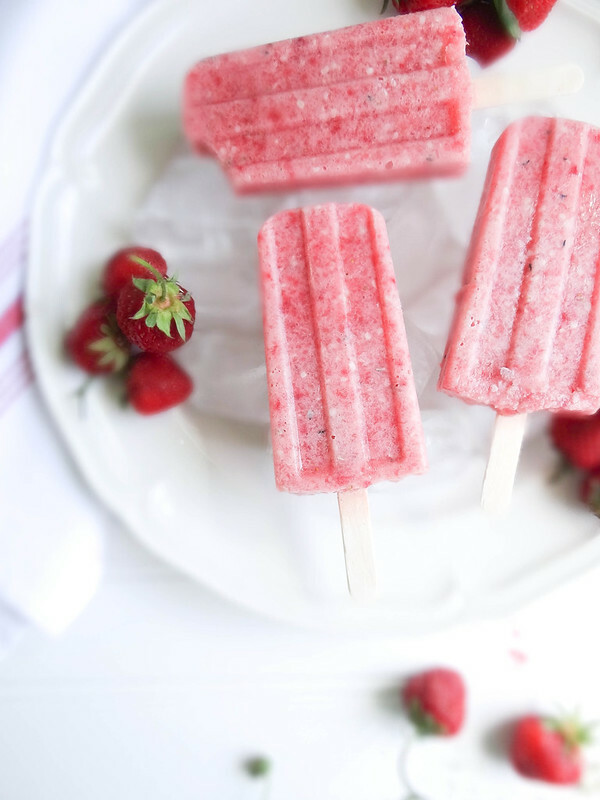 You should totally share your "adult" only Popsicle recipes with me in the comments! 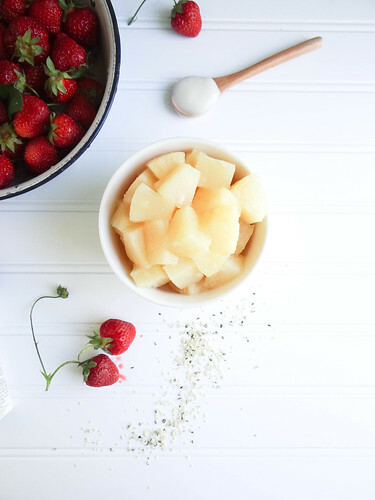 Place pineapple and strawberries in a food processor or blender- pulse a few times. Add Hemp Milk & Yogurt and blend- leaving a few chunkier pieces in the mix.
. Freeze for about 2 hours- run mold under luke warm water to release pops when ready to enjoy! Leftover mix makes a great smoothie! Yes, yes, YES! 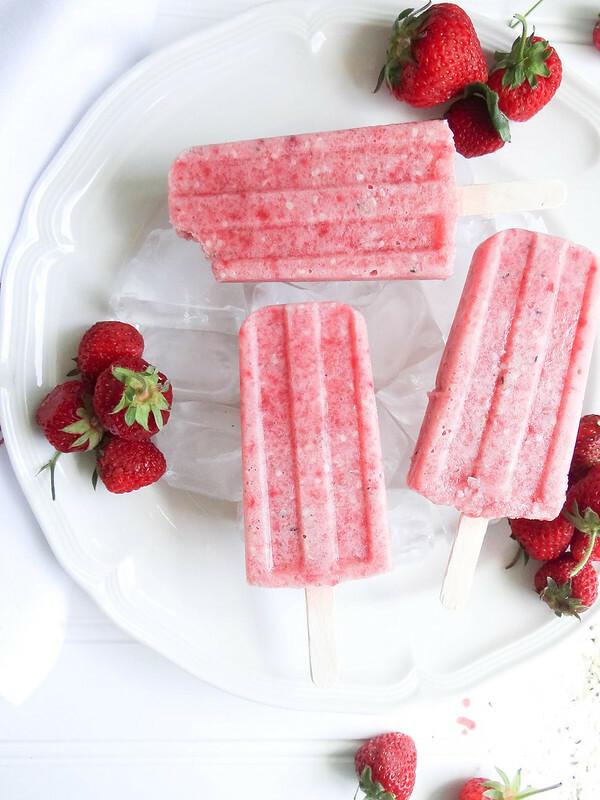 These look so refreshing and delicious! I've not experimented much with hemp or hemp seeds (here in Colorado we tend to go for another part of the plant, haha!) but I really should. Looks amazing Heather! Love the colour too! I bet it would be great to add some whole blueberries and serve them for fourth of July! Sounds like a tasty and refreshing combo! I've been meaning to make my own popsicles this summer because it's so easy, but I keep ending up with storebought ones instead. My problem when I make my own is trying not to drink up all of the mix before it makes it into the popsicle molds! Amazing colors. Those popsicles look delicious. I am making some this week. Thanks for sharing this. I love healthy ice cream. I can eat it for breakfast, lunch and dinner. This looks so delicious and most importantly, healthy. I'll be making this for sure before the summer is over. I think that this site will provide you with mopre useful information.